NFL Hall of Fame member Anthony Munoz, considered one of the best offensive lineman to play, fired up Xenia teachers by speaking about how much of a role teachers played in his life. The Xenia High School marching band entertained district administrators, faculty, and staff. XENIA — Xenia teachers were fired up for the new school year by hearing from the man in charge of Ohio’s public education system and an NFL Hall of Fame member. State Superintendent of Public Instruction Paolo DeMaria and former Cincinnati Bengals great Anthony Munoz provided inspirational messages during an opening day program Aug. 16 as the district’s teachers prepare for the first day of school Monday, Aug. 20. Both spoke about challenging students and never giving up on them. Munoz rattled off names of former teachers and how they shaped his life as a person, student and athlete. He told the teachers who packed Bob Hope Auditorium about a friend and teacher who used innovative ways to reach students and how his former students speak so highly the man. He urged the teachers to continually push students, regardless of their background and circumstances. That was the case for Munoz, who had four siblings and a single mother growing up. He said teachers made his as confident in class as he was pitching for the high school baseball team. He implored Xenia teachers to do the same. That’s what Munoz attempts to do through the Anthony Munoz Foundation, which has a mission to engage the tri-state (Cincinnati) region to impact area youth mentally, physically, and spiritually. DeMaria delivered a charge that tasked teachers to do more and be better as part of the state’s new strategic plan, “Each Child, Our Future.” The plan’s purpose is to lift aspirations, create hope and excitement, guide development of state-level education policies and promote high-quality educational practices across the state. DeMaria outlined the approach that ensures each student is challenged, prepared and empowered. 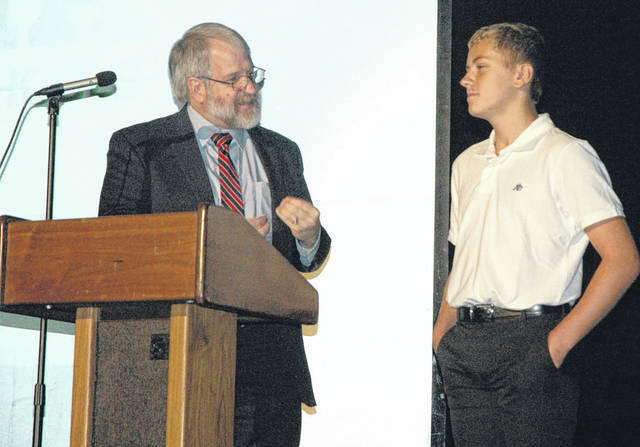 He urged teachers to obsess about what students are doing and what they are learning. DeMaria also asked each teacher to continue to pay attention to the issues of equality. 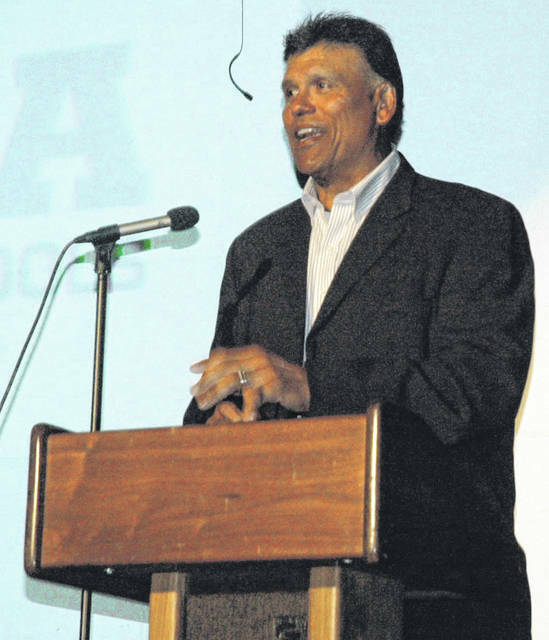 https://www.xeniagazette.com/wp-content/uploads/sites/32/2018/08/web1_DSC_6409.jpgNFL Hall of Fame member Anthony Munoz, considered one of the best offensive lineman to play, fired up Xenia teachers by speaking about how much of a role teachers played in his life. https://www.xeniagazette.com/wp-content/uploads/sites/32/2018/08/web1_DSC_6400.jpgThe Xenia High School marching band entertained district administrators, faculty, and staff.